Unveiled alongside the Xperia XA2 and L2, the Sony Xperia XA2 Ultra is the most premium – at least, price wise – of the three new 2018 smartphones. The behemoth offers ample screen estate, dual selfie camera system, and slightly more powerful performance than the standard variant. You have in the Sony Xperia XA2 Ultra a phone showing decent build. It has a metallic rear panel that appears to be made of plastic alongside metal frames. However, this beast is not as ergonomic as the smaller Xperia XA2 because of its bigger size. It is also noticeably heavier at roughly 221 grams. Sony Xperia XA2 Ultra offers immense screen estate at 6 inches in diagonal size. You will find Corning Gorilla Glass on the surface for protection. It has thin side bezels, but lacks an 18:9 aspect ratio. The screen resolution is Full HD (1080p). This is a phone for selfie and photo-sharing site addicts. Sony Xperia XA2 Ultra packs a pair of cameras on the front. One 16MP shooter with optical image stabilisation (OIS) feature takes care of low light selfies. Another 8MP unit features a 120-degree wide angle lens for taking selfies with your group of friends. You get similar rear camera as on the Xperia XA2: a 23MP Exmor RS shooter. This captures 4K videos while also supporting HDR and stereo sound recording. In terms of chipset, there is no difference between the Sony Xperia XA2 Ultra and Xperia XA2. It also uses Qualcomm Snapdragon 630 Mobile Platform. However, this pairs with slightly higher 4GB RAM. Onboard storage capacity is higher at 64 GB, although you may get models with 32 GB. This is also expandable using a microSD card. The phablet runs on latest Android 8.0 Oreo. The Sony Xperia XA2 Ultra features an inbuilt fingerprint sensor on the back. For the best of mobile data experience, it offers support for LTE networks. There is Bluetooth 5.0 with aptX HD, NFC, and USB-C along with other standard connectivity features. Powering the Sony Xperia XA2 Ultra is a 3,580 mAh battery, which is expectedly better than that of the Xperia XA2. This supports smart charging technologies. 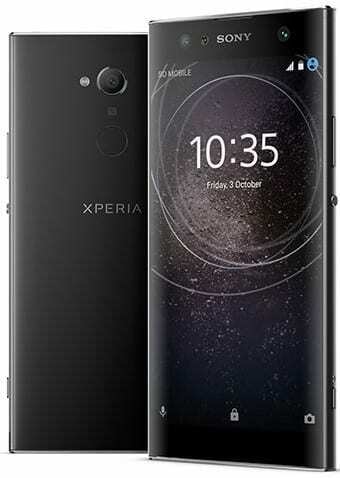 Sony Xperia XA2 Ultra is not yet available in Nigeria, but the smartphone is now available for pre-order on BestBuy.com for $450. It is expected that the Sony Xperia XA2 Ultra will begin its global launch on February 16, 2018. We currently have no data on pricing and availability for Nigeria, Ghana, and Kenya. When available, Sony Xperia XA2 Ultra Price in Nigeria is expected to range from 160,000 Naira to 200,000 Naira depending on your location in the country.